Dr. Steve Ayers will deliver the sermon “Whose House?” at the 8:30 and 10:45 a.m. services Sunday at McGill. The Old Testament scripture comes from Amos 7:7-15. Caleb Pace will perform the solo “Be Thou My Vision” accompanied by his mother on the piano, the Rev. Jackie Pace. Maria Arrowood will lead the children’s time. If you can’t join us in person, our services will be streamed and recorded in the window above. Harold Wright is the deacon of the week. He will read the New Testament lesson from Ephesians 1:3-14 and lead the morning prayer during the 10:45 a.m. The Rev. 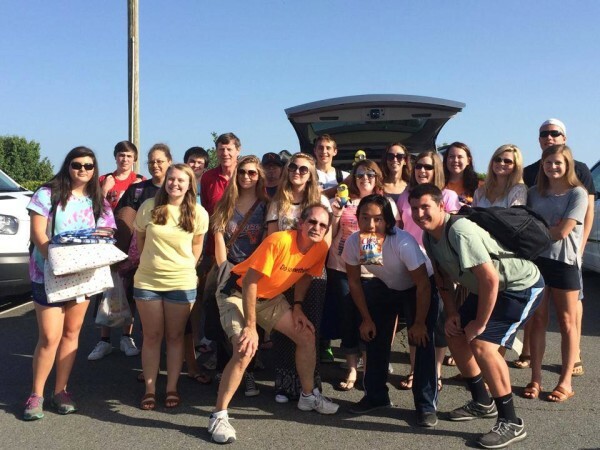 Paul Haywood, chaperones, and the McGill Youth will help operate a Bible school and camp this week in Helena-West Helena, Arkansas. The group will be coming back to Concord next Saturday, July 18. Please be prayful for their efforts and their safe return. We look forward to hearing all their stories when they return. “Soles for Souls” is a CommUNITY Back to School Shoe Distribution project. Partnering with Samaritan’s Feet, the event will be held on Saturday, August 15 from 10 a.m.-1 p.m. at Marvin Caldwell Park. Registration forms at available at church. See Dr. Winfry Whicker if you have questions. Vacation Bible School is July 19-23. The theme is Weird Animals-Where Jesus’ Love is One of a Kind! Volunteers are needed to guide the children from one activity to another. A hot dog supper will be at 6 p.m. on July 23. Clear, clean 2 liter bottles are needed.